Although introducing solids to baby was an exciting transition in our household, it was daunting and frustrating at the same time. If you happen to be vegetarian, this throws an additional wrench into the picture. When you take meat out of the picture, the food choices for baby obviously diminish; of course, one needs to have a little more inspiration in the kitchen! These delicious recipes are full of flavour and packed with essential nutrients, and although they look like burgers and meatballs, they are all veggie-based. They make for ideal finger foods for baby-led weaning and can also be packed in school lunches. My kids can be finicky sometimes when it comes to eating their veggies, but when they are served in an easy-to-eat, tasty little burger or meatball, they devour them! 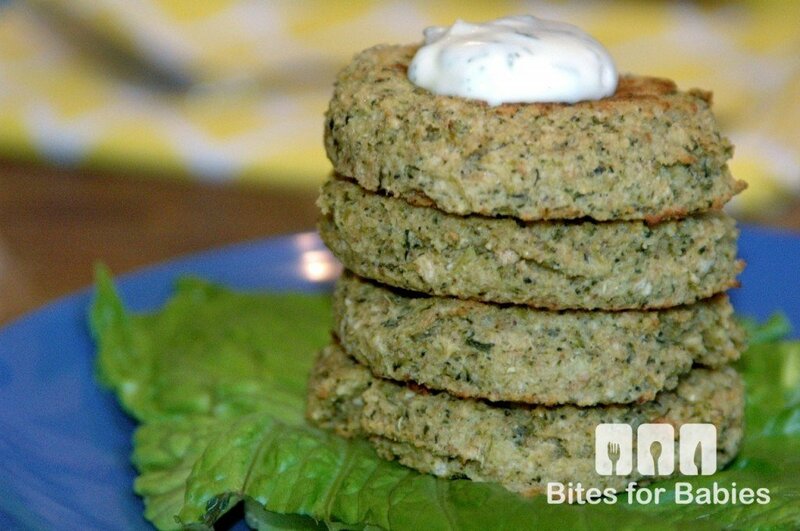 I make large patties of the meatless burgers for my husband and myself and smaller ones (since they have proven to be more appealing) for the kids. I often double the batches and store the leftovers in the freezer for a quick and easy dinner option during the week. These taste delicious on their own…but smothering them in sauce or adding a dollop of fresh dip just ups the ante! NOTE: Consult your pediatrician before putting your baby on any sort of food-restricted diet. 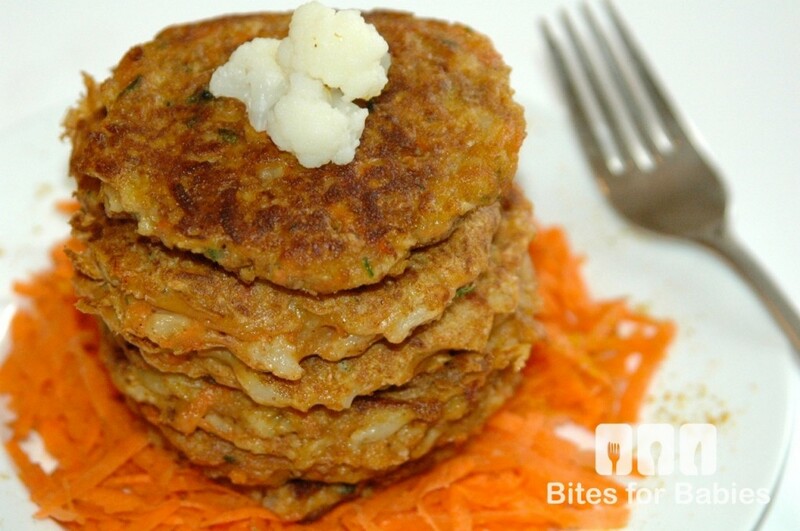 Get the recipe for Curried Cauliflower Carrot Fritters here. Get the recipe for Sweet Potato Broccoli Burgers here. 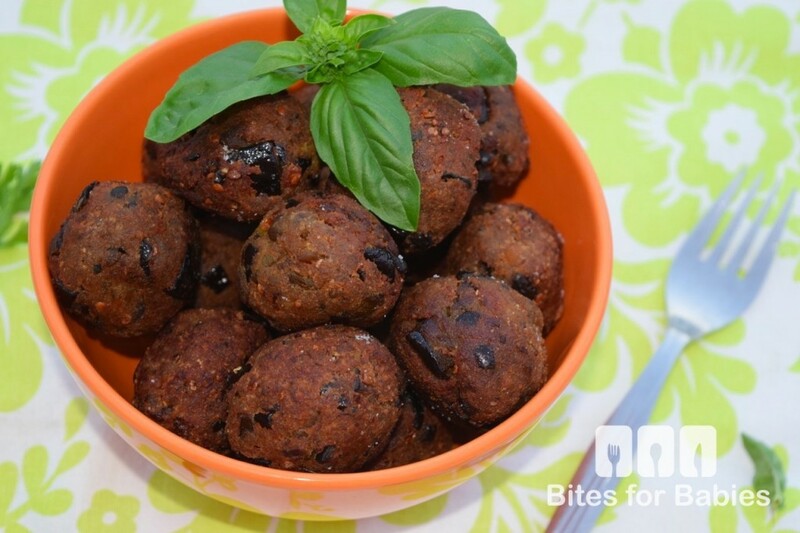 Get the full recipe for Eggplant “Meatballs” here.